Child of Mary Carey and Sir Alexander Fraser, 1st Bt. [S6] G.E. Cokayne; with Vicary Gibbs, H.A. Doubleday, Geoffrey H. White, Duncan Warrand and Lord Howard de Walden, editors, The Complete Peerage of England, Scotland, Ireland, Great Britain and the United Kingdom, Extant, Extinct or Dormant, new ed., 13 volumes in 14 (1910-1959; reprint in 6 volumes, Gloucester, U.K.: Alan Sutton Publishing, 2000), volume X, page 502. Hereinafter cited as The Complete Peerage. [S15] George Edward Cokayne, editor, The Complete Baronetage, 5 volumes (no date (c. 1900); reprint, Gloucester, U.K.: Alan Sutton Publishing, 1983), volume IV, page 294. Hereinafter cited as The Complete Baronetage. Her married name became Herbert.2 Her married name became Carey. [S6] G.E. Cokayne; with Vicary Gibbs, H.A. Doubleday, Geoffrey H. White, Duncan Warrand and Lord Howard de Walden, editors, The Complete Peerage of England, Scotland, Ireland, Great Britain and the United Kingdom, Extant, Extinct or Dormant, new ed., 13 volumes in 14 (1910-1959; reprint in 6 volumes, Gloucester, U.K.: Alan Sutton Publishing, 2000), volume IX, page 202. Hereinafter cited as The Complete Peerage. [S6] G.E. Cokayne; with Vicary Gibbs, H.A. Doubleday, Geoffrey H. White, Duncan Warrand and Lord Howard de Walden, editors, The Complete Peerage of England, Scotland, Ireland, Great Britain and the United Kingdom, Extant, Extinct or Dormant, new ed., 13 volumes in 14 (1910-1959; reprint in 6 volumes, Gloucester, U.K.: Alan Sutton Publishing, 2000), volume VI, page 55. Hereinafter cited as The Complete Peerage. [S6] Cokayne, and others, The Complete Peerage, volume VI, page 54. [S6] Cokayne, and others, The Complete Peerage, volume I, page 445. From circa 1648, her married name became Stewart. 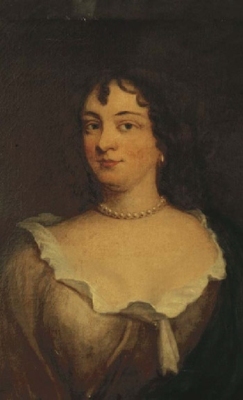 From circa 1655, her married name became Forbes.1 After her marriage, Catherine Newcomen was styled as Viscountess of Granard on 22 November 1675. 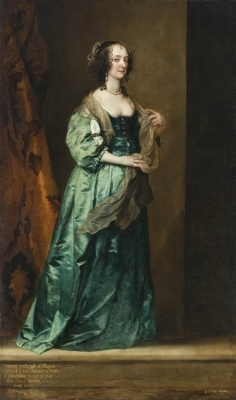 After her marriage, Catherine Newcomen was styled as Countess of Granard on 30 December 1684. Child of Catherine Newcomen and Sir Alexander Stewart, 2nd Bt. [S6] Cokayne, and others, The Complete Peerage, volume IX, page 349. [S6] Cokayne, and others, The Complete Peerage, volume IV, page 391. He gained the title of 4th Baronet Newcomen, of Moss Town, co. Longford. Child of Sir Robert Newcomen, 4th Bt. [S15] George Edward Cokayne, editor, The Complete Baronetage, 5 volumes (no date (c. 1900); reprint, Gloucester, U.K.: Alan Sutton Publishing, 1983), volume I, page 254. Hereinafter cited as The Complete Baronetage. [S15] George Edward Cokayne, The Complete Baronetage, volume I, page 255. Anne Boleyn married Sir Robert Newcomen, 4th Bt., son of Sir Robert Newcomen, 1st Bt. and Catherine Molyneux. Children of Anne Boleyn and Sir Robert Newcomen, 4th Bt. Children of Hon. Dorothy Conway and Sir George Rawdon, 1st Bt. [S6] Cokayne, and others, The Complete Peerage, volume III, page 401. [S15] George Edward Cokayne, editor, The Complete Baronetage, 5 volumes (no date (c. 1900); reprint, Gloucester, U.K.: Alan Sutton Publishing, 1983), volume IV, page 15. Hereinafter cited as The Complete Baronetage. [S3509] Henry Young, "Notes and Queries," e-mail message to unknown recipient, 6 February 1869. He gained the title of 2nd Viscount Conway of Conway Castle. [S6] Cokayne, and others, The Complete Peerage, volume III, page 400.